Samsung is one of the largest producers of mobile phones in the world, and as such, their flagship devices can be quite expensive. However, we carry a range of phones for you to buy in Australia that won’t break your bank account. We sell cheap Samsung phones of all models in Australia, and despite their inexpensive price tag, you can rest assured they will perform with the efficiency you expect from the brand. We carry phones from the Galaxy A series, the Galaxy J series, the Galaxy S series, and the Galaxy Note series. Our large selection almost guarantees you will find the phone that is right for you. 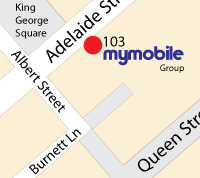 When you want to buy Samsung phones in Australia, there is no better place to look than MyMobile. Just because we sell cheap Samsung Mobile phones in Australia, does not mean our phones are of poor quality. We stand by every phone we sell and promise that it will perform higher than its price tag suggests. When you buy Samsung phones in Australia, you have a few things to consider. The first is screen size. This important decision will inform what kind of phone you will purchase more than any other element, aside from price. Our cheap Samsung mobile phones in Australia screen sizes range from 4.5 to almost 6 inches, giving you a range of options. The larger the screen, the better you will be able to see it. However, larger screens tend to get hot quickly and drain the battery faster in many instances. Another consideration is memory size. Most phones come with 8GB or 16GB of storage. However, after pre-installed firmware and software, you could end up with only half that. If you want to buy Samsung mobiles phones in Australia that has more available memory, consider purchasing a phone with an SD card slot which will enable you to expand the available storage space conveniently. If you aren’t sure what capacity phone you need, feel free to ask, and we will offer some advice based on our conversations with you. We are certain you will be pleased with your cheap Samsung phones you decided to purchase from one of the leading mobile phone vendors in Australia. When you buy Samsung phones in Australia from our online store, you can trust that we will get your order to you as quickly as possible. We know you want to start using your new phone right away, which is why we fill orders as we receive them. This process helps us minimise the time you spend waiting for your purchase to arrive. In addition to fast and reliable shipping, we also offer free delivery on orders of one hundred dollars or more. Buy Samsung phones in Australia from us, along with a variety of phone accessories such as phone cases, screen protectors, house and car chargers, and more. We are your one stop shop for affordable smart phones and phone accessories.